Hello, and a very warm welcome to the website for the Community Council of the Royal Burgh of Tain. Our Community Council area extends along the Dornoch Firth coastline from Meikle Ferry to the Morrich More and just as far inland as Balnagall, Bogbain, Hartmount and the Hill of Tain. The population currently stands just under 4000 and we form part of Highland Council Ward 8. For those who may not know the town, Tain is home to the world-renowned Glenmorangie Distillery and to the internationally acclaimed 120 year old, Old Tom Morris-designed golf course. We are justifiably proud of our historical heritage as the birthplace of the medieval saint, St Duthac and to our aged claim to be the oldest Royal Burgh in Scotland, with our Charter dating back to 1066. As a centre of Pilgrimage in the 15th Century, the town’s enviable scenic location, looking north over the Dornoch Firth with the Sutherland Hills and Moray Forth beyond, has been admired by visitors for centuries. Little has changed in that respect and the surrounding hinterland comprises a mix of beaches, fertile agricultural land and forest, making it a walking and cycling paradise. In the same way as Inverness is regarded as the service centre for the Highlands, Tain provides much of the needs for the Fearn peninsula communities and attracts shoppers to its High Street and new supermarket developments from far and wide. Whilst the highest regard has been had for the protection of the town’s historical character, new development has been made welcome as we look to secure a good degree of self-sufficiency and sustainability for the future. Residents and stakeholders within the Tain area can be assured the Community Council will act responsibly in serving local interest without fear or favour and, in doing so, we wish to emphasise our accessibility. Contact details of each Member can be found within the website and there is a message link facility for quick and easy use. Also, any member of the public has the opportunity at the beginning of each meeting to address the Community Council and raise in person issues of importance or concern, with a view to generating debate leading hopefully to resolution, assistance, or a way forward as appropriate. Please contact us to make prior arrangements. 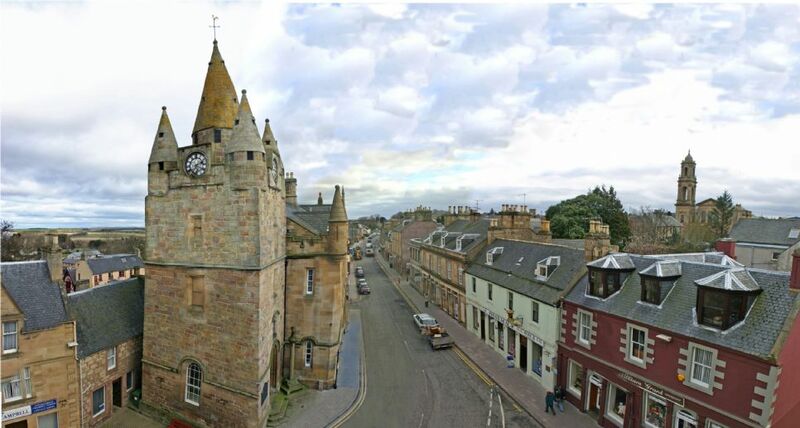 The Community Council meets every last Monday of the month (with the exception of July and December) 7.30pm, at the Council Chambers, High Street, Tain. Members of the public are reminded they are most welcome to attend, though space can be limited, and to note access is via the side door at the top of Castle Brae.